Idaho winemaker Melissa Sanborn had her grower/husband Mike Pearson harvest all of the Tempranillo by Oct. 10 for this first commercial release of their estate work with this Spanish red grape, and it serves as yet another example of the quality of wine coming out of the historic Lewis-Clark Valley. Touches of Graciano and Grenache, along with 20 months in 30% new oak all combine for smoky, savory and earthy aromas with blackberry in prominence. 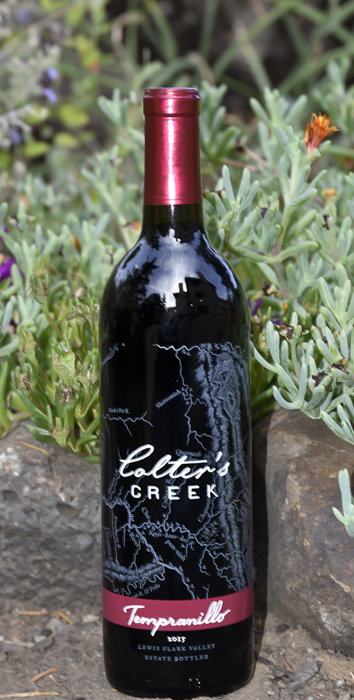 The palate delivers more savoriness ranging from hints of salami to subtle herbaceousness. Dark, brooding and jammy fruitiness continues to push as the finish makes for a wine that begs to be paired with Manchego cheese, seafood stews, olive-based dishes or pork tacos. Earlier this month, some of the region’s top wine buyers selected it as the best Tempranillo at the sixth annual Great Northwest Invitational Wine Competition.